I’ve tried treacle tart on this blog before, and was somewhat disappointed with the results. 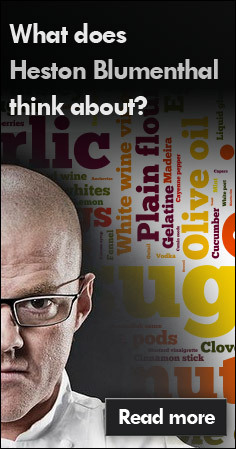 I should’ve gone with my gut and cooked Heston Blumenthal’s recipe as described in In Search of Perfection . This was set to be the dessert that followed Heston’s roast chicken. It sounds like madness to attempt two of his recipes for one dinner, however neither are labour intensive, just requiring dedicated amounts of time here and there. 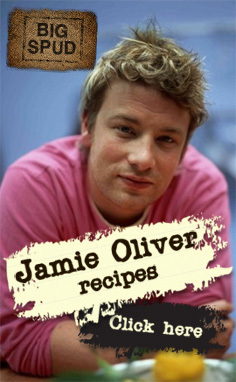 I won’t bother listing the full recipe – Heston himself has listed the method here. I did however make some significant tweaks: I’m not a great pastry chef (big hot hands are not useful implements) and I had enough to do so I bought some of Sainsbury’s ‘dessert pastry’ enriched with extra butter and sweetness. I also have to admit to not ageing the treacle, but used as is straight from the tin. It’s a fairly straight forward affair; heated syrup is blended with eggs, cream, lemon juice + zest, melted butter and brown breadcrumbs then poured into a blind-baked pastry case. The results were absolutely fantastic. Heart-stoppingly, incredulously good. This is exactly what treacle tart should be. A crisp and melting base giving way to dense, hyper-sweet filling that bounces along with gingery-style spice and zesty flavours. But the real genius ninja touch is the addition of vanilla salt – literally vanilla seeds and sea salt mixed together – as a last-minute sprinkling garnish. When it hits your tongue that salty falvour dissipates and blooms a perfumed aroma that hangs around as you chew through the immense treacley pleasure. It’s utterly superb and I’ve run out of adjectives to get it across accurately. Please try it. (PS. as a complete aside, the Sainsbury’s pastry was really good – very light and just sweet enough. I definitely recommend it if you’re in a hurry). The next day it was somehow better – the bread had congealed to a christmas pudding style texture. Heavenly. I did make some of my own ice-cream to go with this. I wanted a compromise between clotted cream and ice cream but again, wanted to cut down the work a little. So I used good quality shop-bought custard to kick it off. This too was a great accompaniment to the dense flavours. I didn’t even bother with the frequent stirring – just left the bowl alone in the freezer and the ice cream was beautifully textured. Blend the ingredients together well and freeze for at least four hours or overnight if possible. When serving this will need a good twenty minutes to defrost – the clotted cream doesn’t want to go anywhere for a while! A scoop dipped in boiling water will help too. This entry was posted in bread, food, golden syrup, pastry, vanilla and tagged heston blumenthal on October 24, 2009 by Gary. I used 1 x 375g Sainsbury’s dessert pastry, which made a tart of approx. 23cm diameter. With all that sugar it’s obviously heavy and rich so you could get a generous 10 slices out of it. Wow – just seen this, I love treacle tart, that looks excellent. Interesting that it’s Heston’s recipe, I was under the impression the recipes were completely ridiculous for the home cook to attempt, but seems I’m mistaken. I’ll have to take another look at the book. Thanks for this! 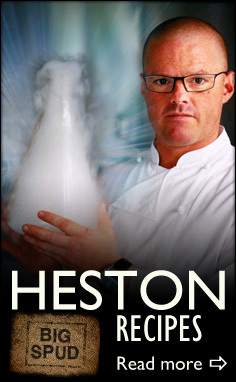 Some parts of Heston’s recipes are insane and just not worth going near. But often elements of them are worth picking up, examining and trying from a different angle. I’m doing a duck dish this weekend and I’m going to be pickling the cucumbers as he does for peking duck, because you get lovely sweet/sharp results. I don’t think I’ll ever do his complete duck recipe, because it just sounds like a pain in the arse, but facets of his dishes can be very useful. That said, both this and the chicken were dead easy. Thanks, Spud – will deffo give this a go. Over here in Stockholm I’m so impressed by your account of this tart that I’m about to start on it. One thing I don’t understand from the Heston B. recipe is how you start with 800g loaf of bread, and then turn half into bread crumbs, and then 170g of them… AM I missing something about what to do with the remaining 230g?? Do let me know if you spot this anytime soon. Many thanks for such a heartening write up. Thanks for the comments. It’s a truly delicious tart, go for it. The breadcrumbs thing is weird. I only used a 400g loaf and blitzed that (crusts removed). This was ample breadcrumbs. I wonder if it was just a goof? I don’t know, but 400g should be enough.